MELVILLE, N.Y., April 20, 2017 – In a move to help meet the demands of professional filmmakers, Canon U.S.A., Inc., a leader in digital imaging solutions, today announced the availability of a feature upgrade for the EOS 5D Mark IV DSLR camera that will add the ability to record with Canon Log. With this upgrade, the EOS 5D Mark IV can achieve a cinematic look similar to what can be achieved using Cinema EOS cameras, allowing it to serve as a second camera on a Cinema EOS shoot or to stand alone as a cinema camera. 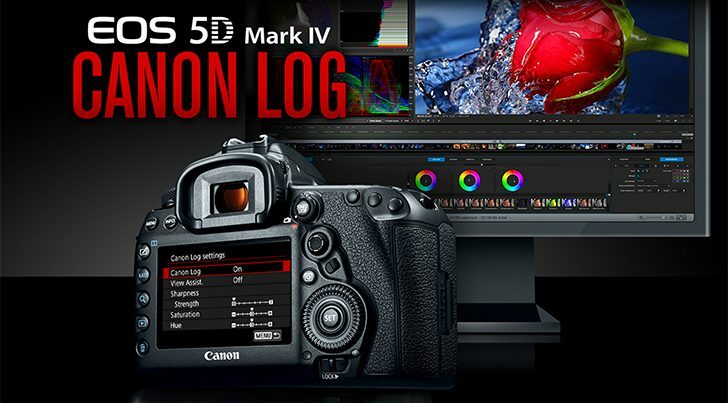 Current EOS 5D Mark IV camera owners can have the Canon Log feature upgrade installed for $99 at any of the Canon service centers across the U.S. starting in July. The camera will also be available for sale (body only) with the feature upgrade pre-installed starting in July, with an estimated retail price of $3,599.00*.